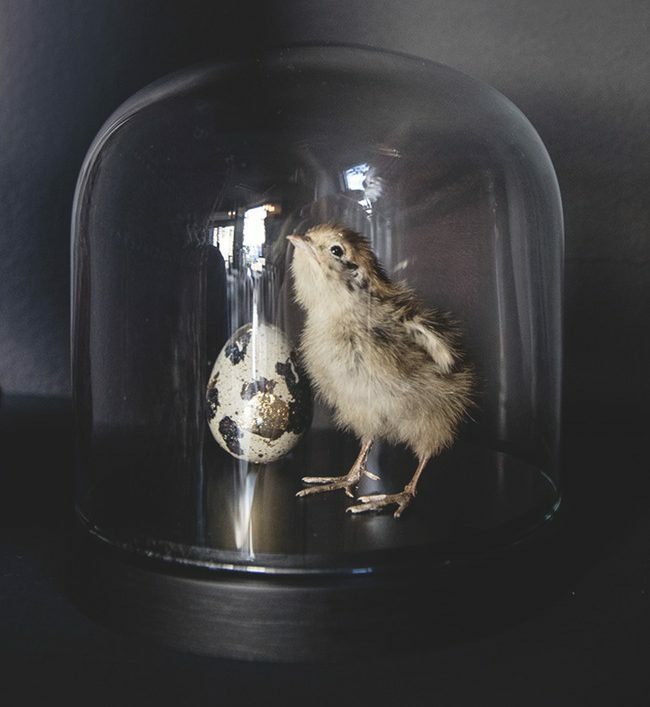 In anticipation of our forthcoming taxidermy courses in July we have caught up with Kim Zoe Wagner who hosts the courses and had a bit of a chat about her profession, art and interiors. As lovers of taxidermy ourselves we always had in mind featuring bit more than pieces in the store. 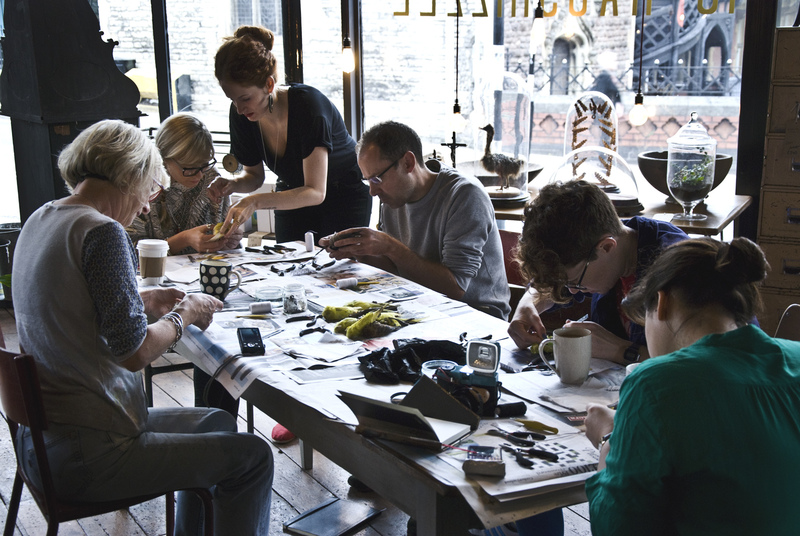 So a few years ago we were introduced to Kim and came up with the plan together to offer taxidermy courses and demonstrations in our Bristol store. The courses have gone from strength to strength and we have all met lots of lovely people and not only seen some final beautiful budgies. There has also been photos onwards from students on their next creations and have also taken the next steps to learn more from Kim one on one in her studio. ing taxidermy and wants every student to have the knowledge they need to go on when they leave. Teaching a traditional method of body building with wood wool and cotton binding also makes it very accessible. 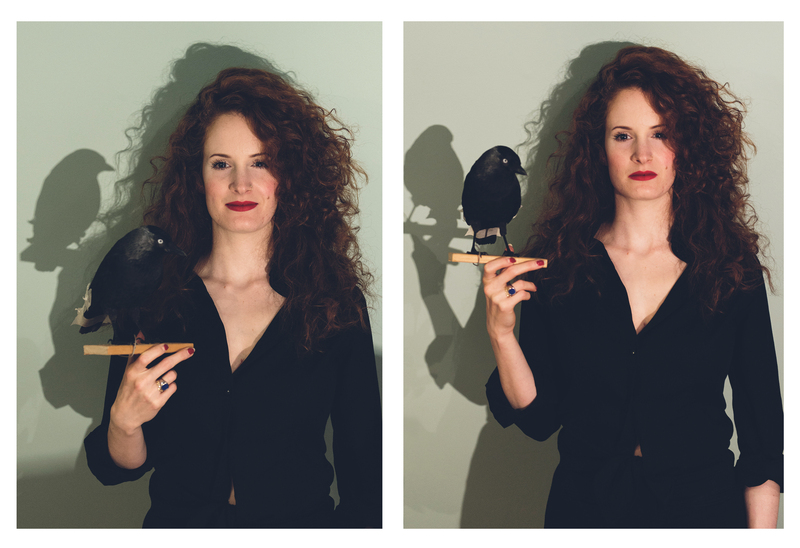 Have you always wanted to be a taxidermist? Not really. Originally I studied prosthetic makeup and my childhood dream was to work in labs to build aliens and animatronic creatures. After studying in LA I returned to Switzerland to find there wasn’t really any work and so I moved to London, where my sister was living. I did a few jobs, but again found it difficult to break into the prosthetic field and so my mom suggested taxidermy. It’s very similar because you’re working with anatomy and sculpting and creating lifelike creatures. In the end I preferred the job and stuck with it. What would be your tips to anyone trying to do it as a hobby or push on further and make it a career? I think a course is a good place to start. I would recommend you find a good teacher with a few years of experience- have a look at their portfolio and more importantly, have a look at the work their past students are producing. You’ll quickly see who is legit and who isn’t. And then it’s all about practice. Try to get hold of anything to practice on and keep looking at your work with a critical eye. I’m never 100% satisfied with anything I make- I always aim to improve. In the end it’ll never look as great as nature intended it to look but it’s always good to strive for perfection. The majority of the courses we have run with you in the past always seem to attract more women than men. Is this the same within the industry, if so, what do you think makes taxidermy so appealing to women? There definitely has been a surge in women pursuing taxidermy- I very rarely get male students, even in my private classes. Why this is the case, I do not know. Maybe it’s just women catching up in a field that they’ve been deprived of in the past. I suppose there is a delicacy to preserving a small garden bird or a small mammal that perhaps some men would find difficult. I think generally there has been a trend to pursue craft traditions recently- maybe it’s because people are feeling far removed from working with their hands, since in their day to day life they are working at desks, on computer screens or staring into their phones and they are small cogs in a large machine that never really gives them the opportunity to see the result of their labor. Working in craft, you see directly the result of the hours you put into it, the manual labor that went into making something and it’s very rewarding. 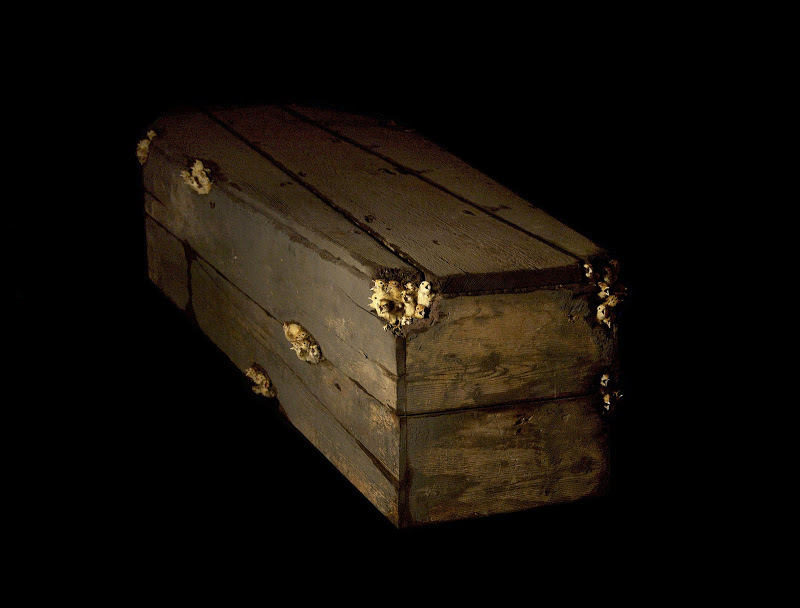 A lot of crafts are associated with women since in the past it was men who did the hard manual labor, and women were working on the more delicate crafts in the home. A lot of these new female taxidermists are working on delicate animals- on one hand this is maybe because it’s simply more practical to work on a small bird at home then to skin a whole stag- this would require a studio and quite a commitment. On the other hand it may simply be that women have a lighter touch and find small bird and mammal taxidermy easily accessible and less daunting than working on a large mammal mount. Out of my own experience, I need help to work on a large mammal because I do not have the strength to do it on my own. I think I would have been intimidated to walk into an all male taxidermy studio that was mounting big bears and stags etc. But working on small birds at home seemed a lot less daunting and more appealing because it didn’t seem as brutal as working on a large mount. Now that time as passed, I prefer to work on larger animals. 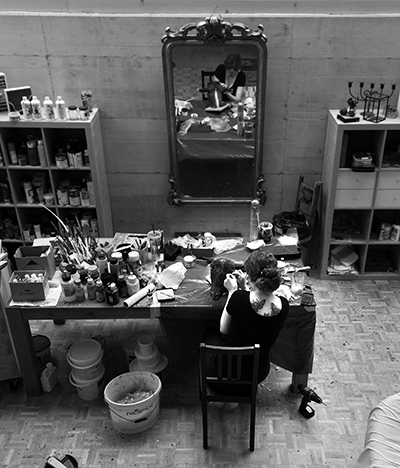 You’ve been assisting artist Polly Morgan for the last ten years, how has that helped you as a taxidermist? Actually it’s eight and a half years now. I was very lucky to begin working for Polly because it gave me the opportunity to practice a lot. 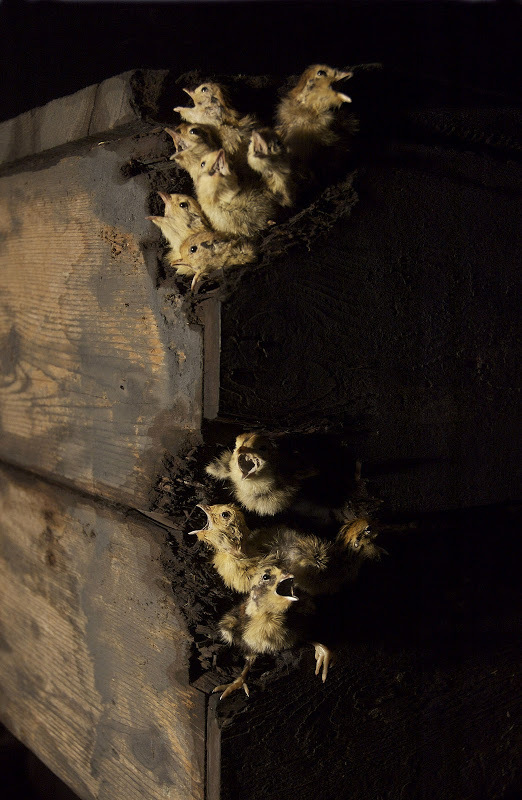 One of the first pieces I worked on was a coffin with hundreds of quail chicks coming out so we were doing quails chicks everyday for weeks- now I can do them in my sleep. No- I’m a taxidermist. My work is to preserve animals. If people would like it displayed in a certain manner, then I can do that. I also arrange birds in frames- however it is not art if it’s in a frame. My work is merely done out of fascination of nature and appreciation of natural beauty and trying to preserve that. I do not create the animals- nature has done that for me, so I do not see too much creativity in it. Perhaps a little; you can decide how to mount it and what scenario to mount it in, but I’m not sure I would consider that “creative” and in my opinion that is not art. Art requires a concept, an idea, a language, a meaning, a certain something- an instinct of some sort, a different way of thinking- taxidermy on it’s own is not art. That does not mean that it shouldn’t be valued equally- some taxidermists have an impeccable skill that took years of hard work to perfect and they can display mounts artistically and cunningly and one could say there is an “art” in achieving this. Where do you get the animals from that you work with? Mostly from gamekeepers, aviaries, vets and pet shops. And people with large windows and cats. I do not use anything that has been killed for the purpose of taxidermy. How do you find the demonstration evenings at Dig Haushizzle and how do they differ to the full courses you do on the budgies the following day? The demonstration evenings give you an idea of what it involves to taxidermy a bird- the demo is included in the price of the budgie course, which takes place the following day. It’s helpful for the students to get an understanding of what is expected from them in the day course. 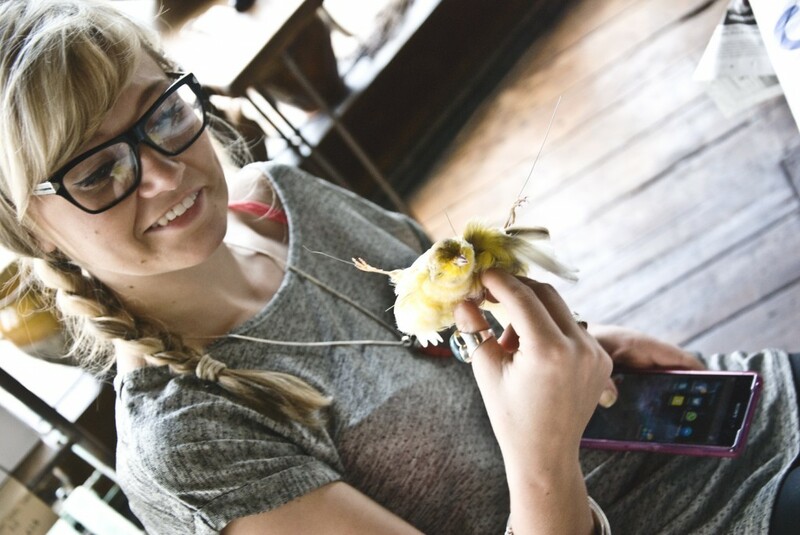 The idea of the day course is for people to learn how to taxidermy a small bird and theoretically with the knowledge from the course, they could go on to attempt their own mounts at home. I like to keep the classes small (maximum 5 people) so that I can really focus on everyone and make sure everyone leaves with a nice mount and solid knowledge on how to taxidermy a bird. We do not skip any steps and I teach people the exact same method I use myself. Some people come to the courses because they really want to learn how to do taxidermy and they go on to make nice mounts, while others just want to spend a Sunday working with their hands, learning a new skill and get to bring home a lovely bird at the end of it. You’ve been commissioned by people from many different warps of life; artists, fashion designers and seasoned collectors. What’s the most challenging piece you’ve completed? There are different challenges involved with every commission: working on a goldfinch is challenging because it’s so small and you’re working on a tiny scale that’s incredibly fiddly and if you’re having a bad day and aren’t feeling too patient, then it can be infuriating. One the other spectrum you have the challenges of working with large animals that are mainly upper body strength challenges as well as the time pressure- it’s takes a long time to deflesh a hide the size of a stag and you’re working against the clock to get it done before it starts slipping. Then you have structural challenges- like when I was working on a head piece for Pam Hogg and we were trying to fit these enormous crows on a small leather head piece and they had to be sturdy as well as fit the visual expectation that Pam had. And then another challenge I had was working on an albino peahen and I found I kept getting the white feathers dirty and having to rewash the damn thing so many times- it was a relief when it was completed and still white! I’d say most animals present certain challenges- the worst thing is if you have an animal that is rare and not fresh. When I was working on the baby giraffe in Bahrain with Polly it was a very unique opportunity to work on this type of animal and we noticed it started slipping around the face because it takes a few days for an animals of that size to freeze and while it’s freezing, it’s already beginning the process of decay and then it was a race against the clock to get it in the pickle before we lost more fur. Thankfully it was only a little bit and it was fixable. What is your interior style and do you have taxidermy at home? I’m not sure what my interior style is- I like patterns and colors. I don’t like clutter and useless ornaments- I’d rather decorate a room with wallpaper or a beautiful upholstered chair. And I do not really have any taxidermy at home- I have an armadillo lamp, a little antique turtle, and a snake sculpture by Polly, but that’s about it. I’m not a collector, I do not collect anything, I don’t really see the point. And I’m paranoid about moths, so I don’t want anything in the house that can attract them- hence the featherless and furless taxidermy. I’d love to own a pangolin though- that would be a little dream come true! Thanks so much Kim for your time and look forward to seeing you in Bristol in July! Hey! Are y’all still doing taxidermy classes? This looks incredible!